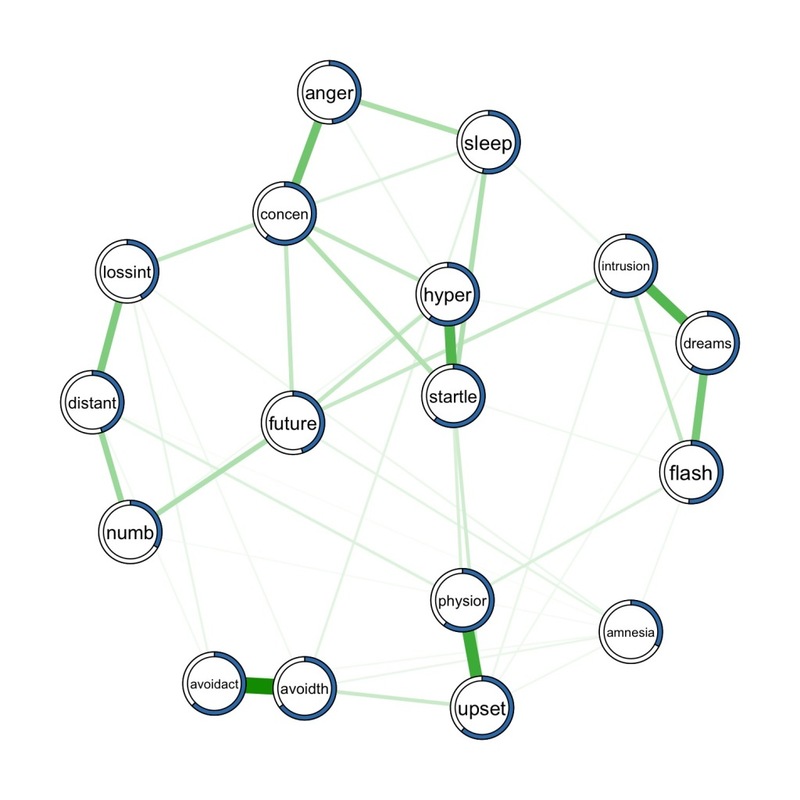 Predictability of nodes in network models offer an additional perspective on symptom networks, which relates to the practical relevance of edges, the selection of optimal treatment and the degree to which (parts of) the network are self-determined or determined by factors outside of the networks. For a brief introduction and fully reproducible example of how to compute and visualize predictability in R, have a look at this blog post. The preprint of the paper can be found here.